The government still has immunity from dismissal. Justice Minister Pavlo Petrenko commented 13 February on the removal from the parliament's website of the draft resolution demanding the resignation of Prime Minister Volodymyr Groysman. "Far as I know, the legal staff of the Verkhovna Rada deemed this resolution contrary to the Constitution as the Constitution provides that a government cannot be dismissed before the end of one year after its approval," the minister said as quoted by Interfax-Ukraine. Besides, the registration of such an initiative should be supported by at least 150 people's deputies, the minister said. 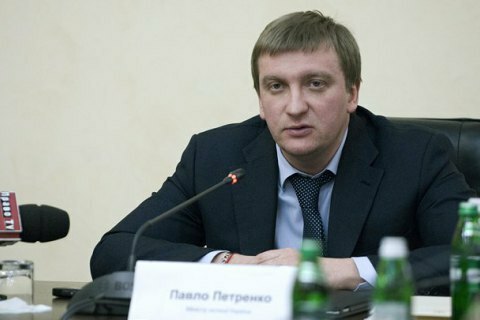 Petrenko said a resolution demanding the resignation of a prime minister without the dismissal of his government was "exotic" and "outside the constitutional framework". Last week, 13 people's deputy from the Fatherland, including the faction's leader Yuliya Tymoshenko, registered a draft resolution on the resignation of Prime Minister Groysman. However, the draft resolution disappeared from the site of Verkhovna Rada in the evening on February 10. The Fatherland demanded that the apparatus of the Verkhovna Rada clarified on the situation and returned the draft resolution on the parliament's official website.